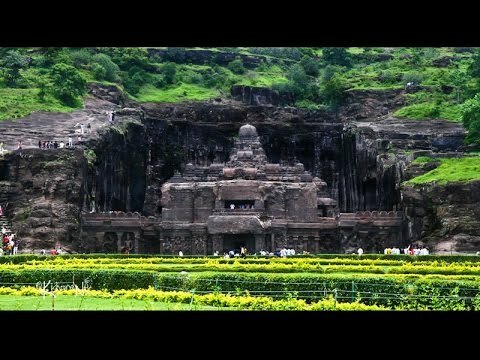 Ellora (\e-ˈlȯr-ə\, IAST: Vērūḷ), located in Maharashtra, India, is one of the largest rock-cut monastery-temple cave complexes in the world, and a UNESCO World Heritage Site, featuring Buddhist, Hindu and Jain monuments, and artwork, dating from the 600-1000 CE period. 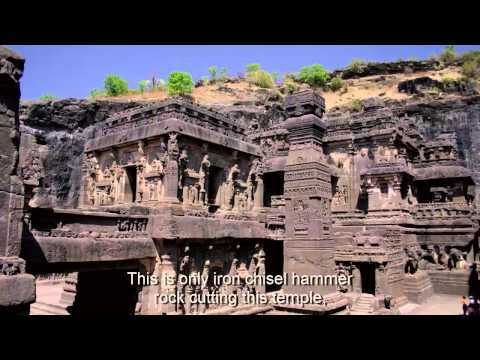 Cave 16 of Ellora, in particular, features the largest single monolithic rock excavation in the world, the Kailasha temple, a chariot shaped monument dedicated to Shiva. The Kailasha temple excavation also features the gods, goddesses, and mythologies found in Vaishnavism, Shaktism as well as relief panels summarizing the two major Hindu Epics. There are over 100 caves at the site, all excavated from the basalt cliffs in the Charanandri Hills, 34 of which are open to public. 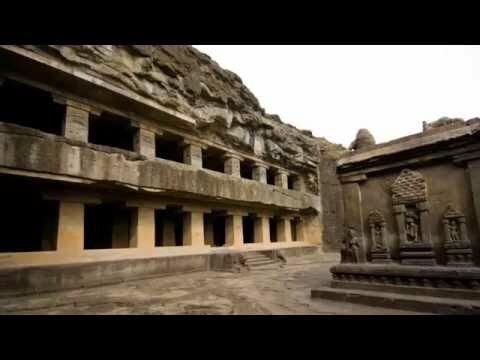 These consist of 12 Buddhist (caves 1–12), 17 Hindu (caves 13–29) and 5 Jain (caves 30–34) caves, with each group representing the deities and mythologies that were prevalent in the 1st millennium CE, as well as the monasteries of each respective religion. They were built in proximity to one another and illustrate the religious harmony prevalent in ancient India. All of the Ellora monuments were built during Hindu dynasties such as the Rashtrakuta dynasty, who constructed part of the Hindu & Buddhist caves, and the Yadav dynasty, who constructed a number of the Jain caves. Funding for the construction of the monuments was provided by royals, traders and the wealthy of the region.